Lime, made by burning limestone rock or sea shells at high temperature, is a natural mineral product that has been used by people for at least 14,000 years. 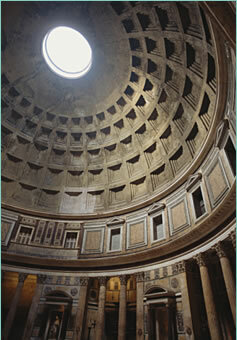 Historic monuments such as the Great Wall of China and the Colosseum and Pantheon in Rome are lasting testaments to the durability of lime as a building material. Historic art, in the form of ancient frescos from Minoan civilization to Michelangelo’s Sistine Chapel, serve as a global legacy of lime used for aesthetic purposes. These are the high profile and visible reminders of the value of lime through the centuries, but lime has been used in a much wider variety of applications. As a chemical, a useful material for medical purposes or food preparation, a building material or an artistic medium, lime has and continues to touch many aspects of people’s everyday lives. In Canada, lime has been produced since the 1600’s. As such, lime production can truly be considered a founding industry of Canada. The reconstructed lime kiln at the Fortress of Louisburg on Cape Breton Island is an excellent example of 18th century lime production technology. In general, lime production followed settlement patterns as Europeans spread across the country. Remnants of many 19th century lime kilns can still be found in many locations across the country. Today lime is produced from coast to coast using modern and efficient technology, and lime remains an integral part of the Canadian economy.